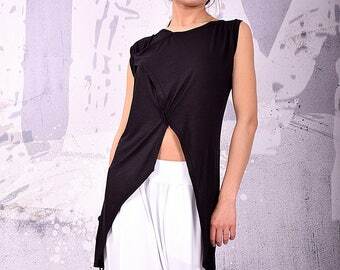 Black asymmetrical plus size over sized tunic with short sleeves. Shipped in good time. Great top-worn it with the pants as a suit and looks fabulous. Really well made. Comfortable and fits remarkably well.